Sometimes, it really makes me wonder why some places can get away with charging a king's ransom for what is essentially a pauper's lunch. Case-in-point - U-Grill. This food court staple allows people to choose their own ingredients to be prepared on a flat top. 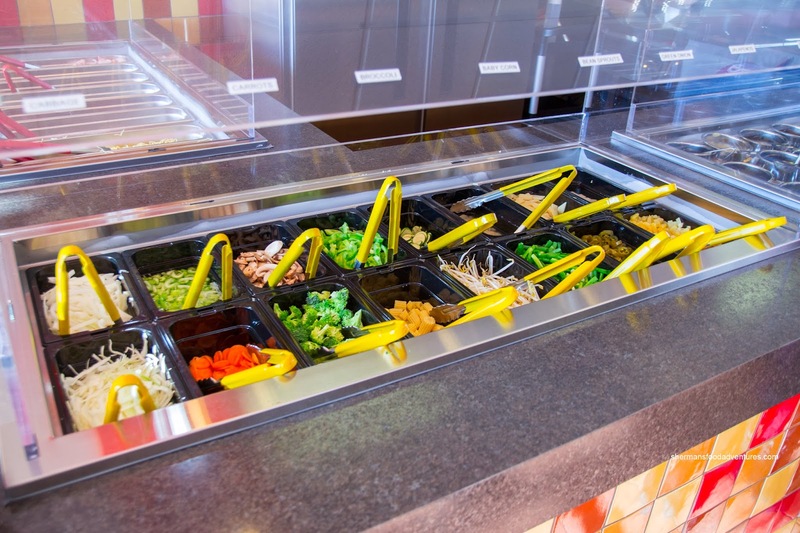 These ingredients are weighed and more often than not, your quick food court meal quickly becomes North of $15.00. Therefore, they must be making a killing because there are many more similar joints that charge for the bowl (as much as you can stuff in it) for roughly $10.00. 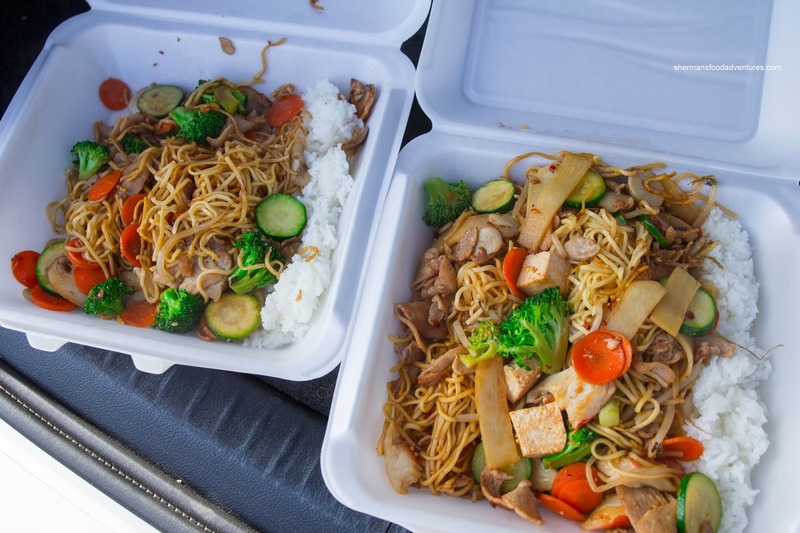 Well, there's a new place in the Strawberry Hill shopping complex that boasts an all-u-can-stuff small bowl for $6.99 (includes steamed rice too). Modeled after Mongolie-type grill restaurants, Warrior Grill offers up choices of meat (beef, pork, chicken & imitation crab), veggies and a myriad of sauces. There is one major difference and it is with the grill itself. 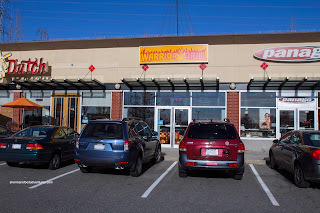 It is a flat top, not a round Mongolie Grill. 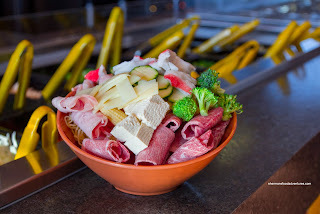 For my first visit, I went for the large bowl ($9.99) and even with it conservatively stuffed, it was more than enough food where I found myself struggling to finish. There is also a "warrior size" for $12.99 which is only meant for football linebackers. The next time, I picked up a small bowl for Mrs. Spray Bottle and compared to my large bowl, it was still a decent amount of food which would satisfy most people (last picture, small on the left and large on the right). Considering the grill they use, the food turns out pretty good with decent caramelization. Moreover, they don't overcook the food either. 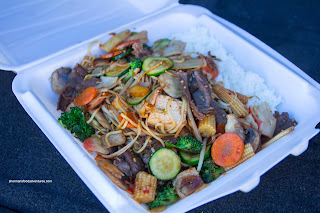 With so many sauces available, it is possible to have a different tasting stir fry with each visit. 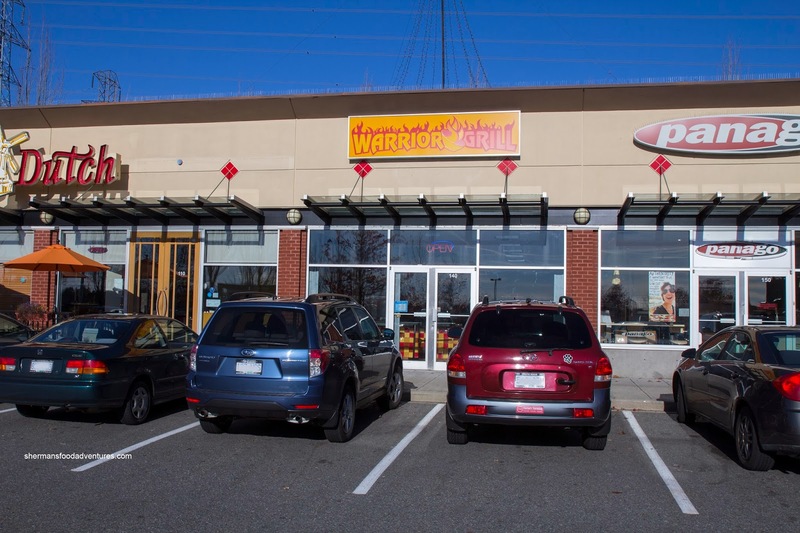 Whatever the case, Warrior Grill is a hit in my books with fresh food and fresh cooking at reasonable prices. I really wonder how many Mongolian Warriors were into stir-frys.